Hello! 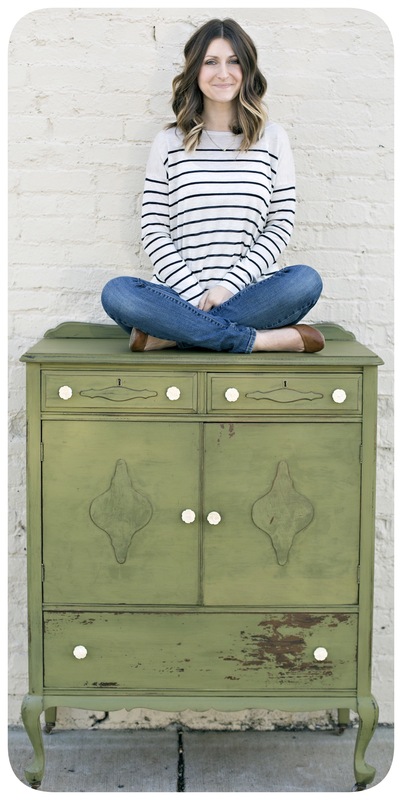 I’m Amanda… a furniture painter, wife, and mom of two pretty awesome little ones. I love to design old pieces of furniture from the inside out and watch them come to life through my addiction to painting nearly everything! 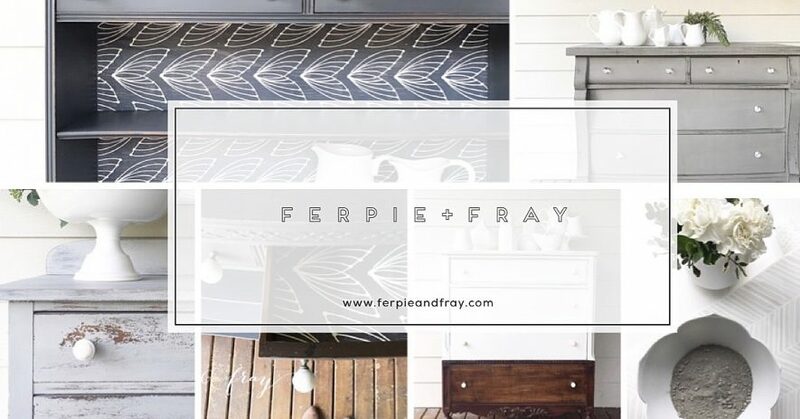 When I started Ferpie and Fray and I was thinking of what I should name my business..my daughters word for “therapy” came to mind. At the time my son was in speech and OT therapy and my daughter would refer to it as his “ferpie”. I think painting is very therapeutic or “ferpeutic” for me, and fray by definition means to be worn or distressed…and there you have it! I have a love for photography and staging a beautiful image, creating beauty in something can be so amazing. I hope you enjoy them as much as I do. Your work is beautiful, as is the staging. I also paint furniture, but have not ventured out with a blog as of yet. I would like to someday though. Good luck with your endeavor. Thank you Sian and good luck on yours as well! Great work, love all the knobs you use. Where do you get them? What state are you in? hi, your work is amazing! every detail is beautiful! where do you find your furniture?! I wrote my question wrong, I meant before you refinish them. How do you come across those beautiful pieces? Hi Merri! 🙂 a lot (and a lot) of searching! I have two little kiddos so I rely on craigslist a lot. The longer you do something like this, the more you have people finding pieces for you too. My grandparents LOVE thrifting, we try to visit every week and look for good finds. It’s a constant search! The key is to look for pieces that inspire you and be ok with passing on pieces that are anything short of awesome. Hi Amanda. Your pieces are so stinkin beautiful. You have great style. I actually found you through Bride on a bike and Modern Cottage. You all have something pretty special going on. I love following along on your adventure. Looking forward to more of the inspiration you share. Good luck to you. Your work is beautiful. Do you ship your items? I live in Alabama and have been looking for furniture like this. Hi. I simply love, love, love your work. Everything is so unique. I was wondering where you sell your pieces?? Do you sell online? Thank you so much! I have a shop in Tacoma,WA. I’m not selling big items online at this time 😔 …maybe someday though! Amanda, I have been following you for some time now as a fellow treasure hunter who is addicted to bringing old, tired pieces back to life, but I have to say: Wow! Your style, taste, color choices and presentation are jaw dropping. You are an inspiration. And, I love the blog. Thank you for sharing so many wonderful tips. Thank you so much Lenna. 🙂 You made my night, how very sweet of you. Thank you for writing! I’ve been seeing your work on Pinterest and finally decided to check out the blog. Your gorgeous work and spectacular staging is an inspiration to me. Working out of a cramped apartment as mom to twin toddlers doesn’t give me a ton of “studio” space for my furniture projects! I hope to someday refine as I grow my business and my blog. Meanwhile, I will keep enjoying your beautiful work! Hi Amanda, I recently discovered your beautiful work while searching information on painting kitchen cabinets with general finishes milk paint. All I can say is WOW! Your work is remarkable and inspiring. I wish I had ounce of the style sense that you have. I was wondering if I could ask you a question. I’m looking to paint my kitchen cabinets white. Do you think general finish milk paint would work well for kitchen cabinets? I’m wanting to paint them white but I’m not wanting a white that pulls yellow or a white that is to stark or overalls bright. What are your thoughts on general finish milk paint in Snow White and antique white? Is Snow White stark or too bright and is antique white yellow? So sorry for so many questions it’s so hard to take the plunge on such a large project. Thank you very much for taking the time to read my comments. Hi Jen! Thank you so much! General Finishes is a fantastic choice for kitchen cabinets. Their paint is very durable with a satin finish so it not only holds up well but it cleans great too. I recently painted a clients kitchen (not something I usually do), she was worried about the same thing. She wanted to go brighter and cleaner with a white…but didn’t want stark white. We ended up going with the Antique White rather than Snow White. Its more of a “off-white” than cream. I think you would be happy with it. You can always order a pint on Amazon to test a spot first to make sure it will work. That might be helpful. Good Luck!